The outbreak ranks as North Carolina's largest since the vaccine became available more than 20 years ago. 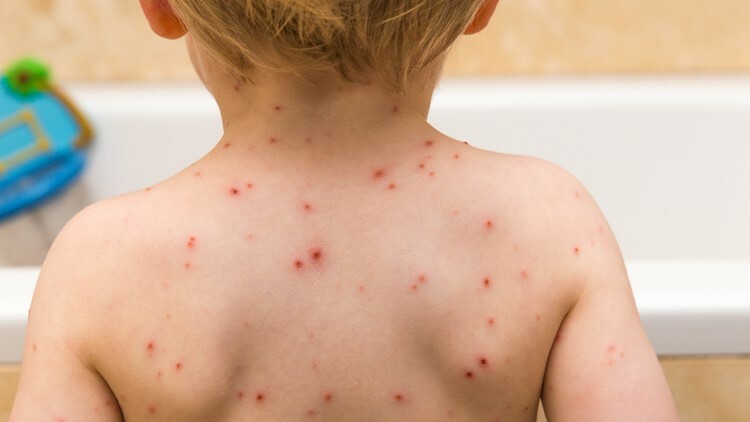 ASHEVILLE, North Carolina — A chickenpox outbreak at a private school now ranks as North Carolina's largest since a vaccine for the virus became available more than 20 years ago, health officials say. As of Friday, 36 students at Asheville Waldorf School had contracted the varicella virus, known to most as chickenpox. The school has one of the highest vaccination religious exemption rates in the state. That's why health care providers for years have recommended all children medically able, namely those who have healthy immune systems, be vaccinated, Mullendore said. North Carolina's Department of Health and Human Services tracks the rate of kindergartners whose parents have claimed a religious exemption, allowing them to forego vaccination. School officials did respond to questions from the Citizen Times Friday. The school enrolls students from nursery age through sixth grade, Mullendore said. "It's not just about you"
In the 1980s, Sullivan was working as a nurse in Johns Hopkins oncology unit when she witnessed chickenpox claim the life of an elementary-age girl. The girl, who Sullivan didn't name, had just finished a leukemia treatment and returned to her home when she came in contact with somebody who had chickenpox. "Because her immune system was brand spanking new, the disease spread to her internal organs, and she did not survive," Suillivan said. "That was a wake up call to me that this is not a benign childhood illness."